How can you write-off an artist who’s been listed as a major influence in an enormous and varied list of acts, including: PHISH, IRON MAIDEN, RUSH, THE KILLERS, RADIOHEAD, SARAH McLACHLAN, and QUEEN. Ever hear of a band called Genesis? Peter Gabriel started the band in 1967 and led it until he left to pursue a solo career. Although he’s 61 years old, he can still perform anything from his catalog, and well. He’s done so much for charity and for world music, including founding WOMAD. As with so many great artists, what you’ve heard on the radio is NOT even a decent representation of his catalog. His song lyrics actually have meaning. Gabriel is a true artist, and his songs reach across the human experience of emotions, from jubilant to depressed, from anger to love, from helplessness to hope, from inquisitive to pompous, and everything in between. On top of emotional, Peter’s lyrics are also quite intellectual. This is music to think to, with lyrical meanings not always instantly presenting themselves. 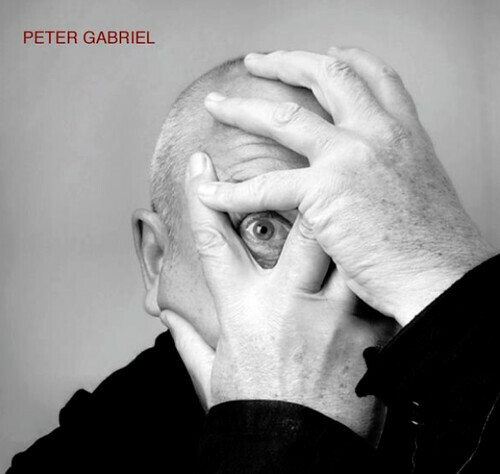 Musically, Peter Gabriel is anything but fluff. The production quality of a PG album can only be described as meticulous. Gabriel’s painstaking attention to details always shines through. As a musician and a music teacher myself, I greatly enjoy his harmonic and melodic creativity, not to mention the rhythmic complexity. If you enjoy good musical writing, you will find it tough to get bored with a Peter Gabriel playlist. He’s an artist in the truest sense. With seemingly no care for what the mainstream might prefer, PG has released songs and albums that play more like works of art than manufactured packages for the masses. To appreciate Peter Gabriel’s music is to appreciate art. My First Reaction: I was enraptured. But, I must admit to you the circumstance within which this “rapture” took place: as an album of Peter Gabriel songs put to orchestral arrangement, it was serendipitous that I was listening to high school band arrangements at the time I purchased the album. The colors and harmonies being performed by the New Blood Orchestra on this album seemed, at the time, an incredible tapestry compared to the limits of high school band music. Combine that with the fact that I already love Peter Gabriel, and the fact that I saw this tour live in Saratoga this past summer, and Voilà!’ – rapture. To be fair, any true Gabriel fan will enjoy this album. He goes deep enough into his catalog to rejuvenate some deep cuts, while avoiding radio-play regulars like “Sledgehammer.” And those odd balls like me – classically trained AND already a Gabriel fan – will instantly fall in love with this, just because of the characteristically emotional performances by Gabriel coupled with the professional orchestral performers and high-quality arrangements. The Full Review: It’s one thing to put your music to orchestral arrangement – something we’ve seen done (often badly) many times before. But what Gabriel’s done here is taken his songs and given them a true, unsurprisingly detailed treatment with co-arranger John Metcalf. The Good: On New Blood, Peter has expanded his “pallet”, if you will: a full orchestra of instruments, as compared with his usual electronic sounds, guitars, and drums. Remember that an orchestra can get louder, softer, higher, and lower than a regular rock band. On some tracks, this actually works to uncoil the original intent of the song, sadly. On others, it heightens it to amazing new levels. This happens on “San Jacinto”, “Intruder”, and “Signal To Noise” to a point where I am removing the original tracks from my playlist and replacing them with the New Blood versions, which sound like how the song should have originally been set. “San Jacinto” reaches new levels of contemplation, “Signal” new levels of intensity, and “Intruder” new levels of scariness. Thankfully, “Wallflower” finally gets the treatment it always deserved; a song about tortured victims of human rights, the “Security” album version – with its low volume and seemingly uncharacteristic hurried production quality – never did the song justice. One thing that is so very cool on this album: a track called “A Quiet Moment.” A simple recording of gentle wind blowing through the breeze coupled with unobtrusive birds, “Quiet” is a wonderful pallet-clearing track that relaxes the senses and allows the listener a break from the powerful and extreme texture of a full orchestra (something most rock fans are not used to). It’s a clever move by a clever artist. The Bad: “In Your Eyes”, “Solsbury Hill”, and “Mercy Street” arrangements are both kind of take-it-or-leave-it quality. There are better versions of each already in the PG catalog. They were probably thrown on the album for nostalgic purposes. The Ugly: There are some real losers on this album: “Don’t Give Up”, “Downside Up”, “Darkness”, and “Digging In The Dirt” are all tastelessly done, in my opinion (a shocking thing for me to even admit). Right when this album’s version of “”Don’t Give Up is ready to become a classic arrangement, enter Ane Brun’s awful vocals. She sounds like a grandmother trying to find pitches. Just hideous, she ruins the track. “Downside” is completely unneeded, as the live version on Hit is eponymous. Plus, it ends before the “kick-in” section, which totally disappoints. “Darkness” has contrasts that are so violent they literally hurt the ears (a seemingly sophomoric use of the orchestra’s dynamics, tastelessly out of character from the rest of the album). Finally, there are very cool harmonic, rhythmic, and even melodic changes that work to actually augment the original versions. But I just can’t stomach the melodic change to the vocals in the chorus of “Digging”- it lessens the emotional effect of this otherwise striking song. Yes, it’s a sad day for some in this world; today marks the official closing of the Liberace Museum in Las Vegas. Although I didn’t care for this dude or his music, the guy was actually a pioneer in the early days of television and establishment of the “variety hour”. I’m not so much in agreement with the CNN coverage that he was influential on today’s performers, with exception to say, perhaps, Adam Lambert. Perhaps Bootsy Collin’s stole a bit of Liberace’s style since he was often spotted sporting a feathery boa and other “glamorous” accoutrements. 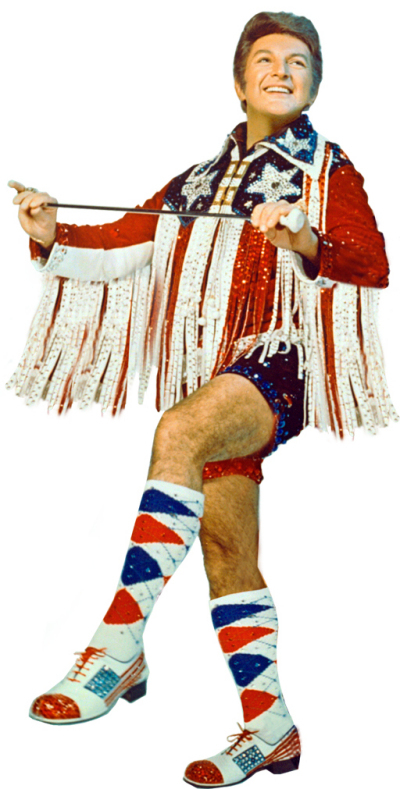 I remember my grandmother tormenting me with having to watch both Lawrence Welk and Liberace back to back on the summers at her house in Philadelphia, barf! Today it might actually be considered child abuse. To Liberace’s credit though he was an accomplished classical concert pianist and at one time was the most wealthy entertainer of his time (hard to believe, but true! ); he was a powerhouse draw for visitors to Las Vegas in the 70’s like Celine Dion is today; so like him or not the guy was a success at one time and adored by millions. Well, I felt it was both humorous and sad at the same time to post; I kind of wish I got a chance to stop by and get me a cheezy coffee cup for my desk; it would be quite righteous! Perhaps we will see what we can do here at the HiFi Central Factories and produce a HiFi Coffeecup of our own with this dynamic graphic eh? Let us know if you would buy one if we did. I was talking to a friend the other day about great guitarists and great guitar songs; the name Tommy Emmanuel came up (along with Al DiMeola, Wes Montgomery, Strunz and Farah, Aucousticl Alchemy, George Benson, and many others) and his classic rendition of “Classical Gas”; many of our younger readers have never heard of this classic song, nor Emmanuel for that fact. I remember that my father had an album featuring Classical Gas and it was the one song I played over and over again, it’s just a remarkable composition. 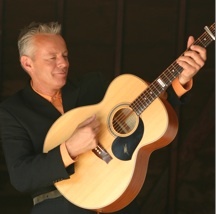 I had long forgotten about the Tommy Emmanuel and decided to Google him after watching the video below; they guy is alive and well…and currently touring! As usual he is playing everywhere but HiFi’s home turf (Albany, NY), but you never know who will roll through this town at the last minute; we’ll keep our fingers crossed. His tour is quite extensive and he is hitting many top cities across the country and the World, so if you’re lucky to have him swinging through…get your tickets and PLEASE tell us about it. Click here to see Tommy Emmanuels 2010 tour schedule. Yes, I know it is a shock that we here at HiFi Central would actually listen to classical…and perhaps even more bizarre and random, Tango music! However, if you have been following this blog since its creation all of our contributers listen to just about everything; any good self-proclaimed connesiour of music should; would you not agree? Often when I am searching out for a good classical album I specfically look for cello heavy albums; for me the cello creates a depth to classical music that most other instruments do not. Cello and piano duets are like peanut butter and jelly, perfect together and made for each other, add perhaps the occasional “glass of milk” (oboe, viola, or bassoon) and the culmination will create the perfect sounding classical album. One of my favorite cello and piano albums is by Yo-Yo Ma and Emanuel Ax Beethoven: Cello Sonata Opus 102 No.1 on Sony Classical; it has been a very difficult one to top (Ma and Ax have collaborated on several other titles on the Sony Classical label), however I believe that O’Riley (piano) and Brey (cello) have produced a Tango album that just may rival Ma and Ax. I understand that there is a very large contrast between listening to works by Ludwig Beethoven vs. Astor Piazzolla. My point is the overall quality of the music, not the specific era styles. First of all the sound quality is superb and the playing top notch; secondly, the selection of songs are excellent. This albums really provides the listener with a better understanding with regard to the complexity and beauty of Tango music. Please know that this is not a Latino-Salsa album, it is strictly classical. Highlights on this album are the songs Escualo. 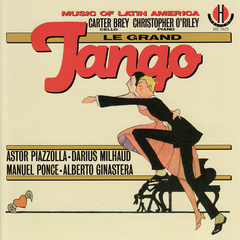 Milonga En Re, and Le Grand Tango. These songs are intense and then change to being mellow and serene in an instant; clearly great care was taken in both writing these pieces but also understanding how to play them. If you appreciate classical music and wish to expand your collection this is a perfect album. Yes, I’m sure you have a raised eyebrow with regard to Tango, but check it out on LaLa.com and see for yourself. I was very impressed and ended up buying the album, I can’t stop playing it. Le Grand Tango gets 4 out of 5 stars. Being an Elliott Smith fan I was really sad to hear about his passing a few years ago; it was a huge loss to the music world. Smith’s work, although popular among certain circles, remains still unheard by many, even posthumously he has not received the accolades he deserves for his profound contributions he made with his music. A few years after his death I was introduced through a segment on National Public Radio (NPR) about a number of tribute albums being released in his honor. One in particular that caught my attention was by classical pianist Christopher O’Riley. O’Riley had been a fan of Smith’s compositions and noted how complicated and uniquely structured they were for someone who was not formally trained in writing music; he decided to transcribe them for piano in honor of Smith’s genius. Home To Oblivion: An Elliott Smith Tribute (2006) is O’Riley’s fantastic representation of a variety of Smith’s work in the classical style. O’Riley hand picked the songs he liked from a broad spectrum of albums spanning Smith’s early work on Roman Candle (1994) to his last album A Basement On The Hill (2004) which was unfinished and released shortly after his death. The album is sincere and slow, clearly O’Riley’s intentions were to create an album that would both represent the beauty of Smith’s arrangements yet also create a mood for the listener to reflect upon how much more could have been if Smith was alive today. O’Riley has done several tribute albums reflecting the music of Radiohead and the late Nick Drake. Although a solid album a highlights would be “Let’s Get Lost” and “I Don’t Understand”, simply incredible and worth buying just for those songs alone. You can listen to the album in its entirety prior to buying by going to LaLa Music and typing O’Riley’s name in the search bar. 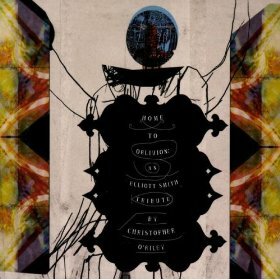 Christopher O’Riley’s Home To Oblivion: An Elliott Smith Tribute gets 4 out of 5 stars. 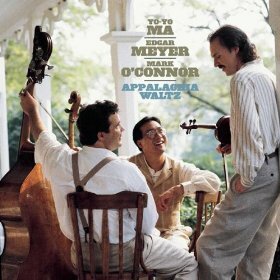 Appalacia Waltz was an album recorded over the course of 3-days between 3 very well respected musicans: Yo-Yo Ma (cello), Edgar Meyer (bass) and Mark O’Connor (fiddle). This album will satisfy both the classical enthusiast and back-country folksy Americana lover. Many speculate the title and theme of the album are inspired by Aaron Copeland’s Appalacian Spring and the joining of classical music and contemporary Americana. My wife and I recently travelled to southwest Maryland and while there decided to travel even further into northwestern West Virginia during peak fall color; this album was a compliment to the ride. I had played this album during a trip to Colorado as well during a drive though Rocky Mountain National Park and it was just as good. Clearly if you are looking for a Ken Burn’s documentary soundtrack to go with your drives this is it, trust me. The album is not bluegrass or classical music, but more a culmination, dare I say a “fusion” of bluegrass, celtic, classical, and folk styles which inturn creates a very pleasing unique result. Although Ma, O’Connor, and Meyer are respected artists, none take center stage on this album but rather work together as an ensemble. Some songs are upbeat and others mellow, the passions required to play music with both fury and ease can be reflected many times over . The track choices for the album are well placed and flow together thus revealing each musicans talent. This album was followed up in 2000 with Appalacian Journey. This album is a nice compliment to Appalachia Waltz and is a bit more improvisational, thus allowing the artists to explore and take this sound in some new directions. Appalacian Journey offers guest appearances by both James Taylor and Alison Krauss. Appalacia Waltz gets 4 out of 5 stars, great album!